The Woodlands, Texas (April 2018) – The Woodlands Area Chamber of Commerce announced Stuart Lapp as the chair of the board of directors for the 2018-19 year beginning Sept. 1. Lapp succeeds Frank Holmes, vice president for university advancement at Sam Houston State University. Lapp is a partner at Stibbs & Co., P.C., Attorneys, a business law firm specializing in areas of energy and business law, employment law, complex commercial litigation and commercial real estate. He heads the litigation section and practices in the areas of complex commercial transactions, commercial real estate and finance. Prior to joining Stibbs & Co. in 2015, Lapp served as general counsel for Petroleum Wholesale, L.P. and Sun Development, L.P., headquartered in The Woodlands, Texas, for 12 years. 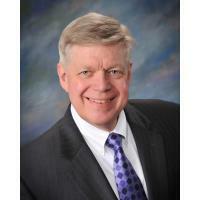 For nearly 20 years, he privately practiced civil trial law and mediation. He is licensed to practice law in the State of Texas and is admitted to practice in the U.S. District Courts for the Northern, Southern, Eastern and Western Districts of Texas and the U.S. Court of Appeals for the Fifth Circuit. He is a member of the State Bar of Texas, the American Bar Association, the Houston Bar Association, the Montgomery County Bar Association and The Woodlands Bar Association. He is a certified mediator having received training from the Attorney Mediators Institute and the A.A. White Dispute Resolution Institute. He also served as an administrative hearing officer for the Texas Education Agency and presided over administrative hearings involving involuntary termination of teacher contracts for Houston ISD, Klein ISD and Spring ISD. From 2007 to 2016, Lapp served as a board member of The Woodlands Area Economic Development Partnership and board chair from 2014 to 2015. He is a member of the Parish Council for St. Anthony the Great Antiochian Orthodox Christian Church in Spring, Texas, and has served terms as president and treasurer of the council. He is a founding member of the Voter Awareness Council, a nonprofit. nonpartisan organization dedicated to increasing voter awareness and encouraging voter participation in local elections. He is a member of George’s Coffee Club, a nonprofit, non-political organization founded to share information about George Mitchell’s leadership and contribution in the development of The Woodlands and to broaden awareness of Mitchell’s vision for the community. Lapp is a graduate of Leadership Montgomery County. He is also a self-described BBQ nerd, and with the support of Stibbs & Co., founded The Woodlands BBQ Festival, a family-friendly event held annually at Town Green Park. The Woodlands BBQ Festival showcases talented and celebrated BBQ pitmasters from around Texas, and, like the annual Woodlands CrawPHish Festival, raises money and awareness to extend and improve the lives of those affected by pulmonary hypertension. Lapp moved to Texas in 1973 when George Mitchell hired his father to join the team that designed and built The Woodlands. He graduated from Spring High School, Southern Methodist University (B.A. - Criminal Justice) and The University of Houston Law Center (J.D.). He and his wife, Eve, live in Magnolia and are the parents of three adult daughters and grandparents of one energetic granddaughter.